Selling Your Property? We can help. When most people think of Minnesota, they think of lakes. The prevalence of these bodies of water is so great that their tourism board has long heralded Minnesota as the "Land of 10,000 lakes". At last count, over 11,842 Minnesota lakes greater than 10 acres in size exist in MN. Much of Minnesota's historical industries - from lumber to milling - are attributed to their vast hydrological resources. Today, these same resources provide a variety of fishing, boating and bird watching activities. It's easy to get lost in the plethora of options available to buyers. Minnesota is a diverse state, with Boreal forest in the far north, sweeping plains in the east and central regions, and rocky landscape in the southwest. Below are just a few of the many lakefront options available to those who are ready to tap in to the natural beauty of Minnesota. Lake Superior is the largest freshwater lake by surface area in the world. It's maximum depth of over 1,300 feet. Though not technically contained within Minnesota, Lake Superior provides a significant amount of shoreline property in Minnesota. Variations in the depth and temperature throughout the lake provide a home for over sixty species of fish. The natural beauty that Lake Superior provides is highly sought after, with lake home prices beginning in the mid 300,000s. Red Lake is the largest inland lake in all of Minnesota. Known for it's black crappie population, the lake received a grant to build underwater log cribs that increase the health of the lake. Surrounded predominantly by the Red Lake Band of the Chippewa Indians, this massive lake only has a small portion of shoreline available for commercial development. Mille Lacs Lake is as full of character as it is fish. It has was designated as a spiritual lake by the Santee Sioux Indians and sits in what the original French settlers called "The Region of a Thousand Lakes". At a maximum depth of 42 feet, Mille Lacs offers a variety fishing opportunities. The lake is a prime spawning ground walleye, both on ice and open water. Though known for it's fishing, the lake is quickly garnering a reputation as a recreational getaway. Outdoor activities such as snowmobiling, biking, and golf accent the areas great beaches and quiet setting. With all of these options, Mille Lacs has become a prime spot for lake property. Lake homes and cabins can easily list at over a million dollars. With very moderate development, Lake Winnibigoshish - or "Lake Winnie" - is a prime location for calm seclusion. Formed by the damming of the Mississippi River, Winnie maintains many quiet bays with little to know motorboat traffic. Lake Winnibigoshish is situated near smaller cousins of Cut Foot Sioux and "Little Winnie" that offer that same quiet atmosphere. The low development can make it a worthwhile challenge to find waterfront listings. Covering over 63 square miles, Lake Vermilion is the fifth largest lake in Minnesota. The local Ojibwa Indians once referred to it as "Lake of the Sunset Glow" for its inherent beauty. The lake contains over 300 islands and provide 1,200 miles of shorelines for quiet fishing adventures and other outdoor activities. Ideally located a few hours from Minneapolis/St. Paul, Lake Vermilion is as accessible as it is secluded. Lake property on this naturally occurring lake can easily list for a million dollars and more, but some cabins list for as low as $300,000. Minnesota's Department of Natural Resources (MDNR) maintains restrictions on certain kinds of lakefront development. Some projects can be carried out without a permit from the MDNR, provided certain conditions are met. If your shore doesn't have emergent aquatic vegetations, beach sand blankets may be laid down, provided no filter fabric or plastic is used, the fill isn't more than 6 inches thick or 50 feet wide, and the local zoning officials are notified. Rip rap - course rocks piled at the edge of a lake - can be used to control erosion without acquiring a permit. However, retaining walls are detrimental to a lake's near-shore environment and require a permit from the DNR. Not all lakes are public access - the DNR maintains a map of all water declared public. These maps can also be accessed online at the DNR website and be sure to checkout the LakePlace.com Lake Finder for more information. Individual counties can also maintain their own lake property development guidelines. A visit to the county zoning office will provide invaluable information when purchasing lake property. This is particularly crucial in popular and highly developed lakes. With a little research, potential property owner's can be assured that their lakefront experience will be everything they dreamed. 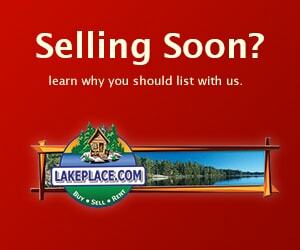 Click Here to browse Minnesota Lakeshore Properties for sale by city, state, lake, or region. Minnesota has over 10,000 lakes, not to mention thousands of miles of riverfront, throughout the state. With over 80,000,000 baby boomers retiring in the next decade, the "craze" of lakeshore development should continue for some time. Take advantage of available lakeshore while prices are still "reasonable" and find your piece of heaven now. Raised in the Iron Range town of Eveleth, Minnesota, I have come to love what the beautiful lakes and rivers of Northern Minnesota have to offer. In my youth, I lived just off the St. Louis River. My family, friends and I made numerous treks to the river for swimming, tubing, fishing or just plain exploring. Whether it be slowly floating down the river on a tube or learning about the abundance of wildlife in the area, the love of the water is instilled in most any northern raised boy. One out of five families in Minnesota own a lakeshore property. I was amongst the 80% who did not. However, I knew many families who did own a cabin. Many summer days were spent out on the lake either water skiing, swimming, boating or fishing. 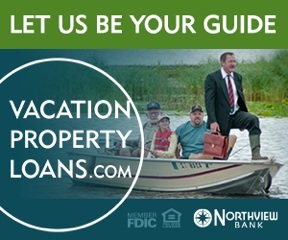 The summer vacation would cruise right by with so many opportunities on the many resources of Northern Minnesota. The winter months were filled with snowmobiling, ice fishing, hockey and warm nights sipping hot cocoa or cider by the fire. Whatever the time of year, there are memories to be made on the thousands of lakes throughout the Northland. Owning Minnesota lakeshore property not only helps to create family memories, it can also create cash flow. Lakeshore property values throughout Minnesota have skyrocketed in the last decade and with millions of baby boomers retiring in the next 15 years, the trend shows no sign of slowing down. Many current Minnesota lakeshore property owners have come to the realization that there is money to be made from their cabin. 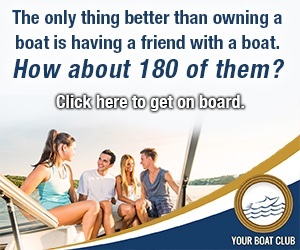 Most owners do not use their cabin every weekend, and some have decided to rent it out when they are not using the space themselves. There are really two scenarios for private cabin rental owners - rent out their cabin for up to two weeks of the year and use the profit to cover property taxes (or what ever else they would like to use it for), or, lease out the cabin as often as they like and in turn use the space as an investment property. In the first scenario, the owner does not have to pay taxes on the profit, as the government does not tax the first two weeks rental on any second home. The latter scenario is actually viewed as a second form of income and is taxed after you rent the property for more than two weeks. In either case, there can be benefits. 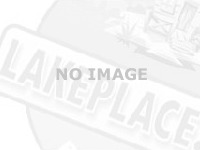 I have had many conversations with LakePlace.com members in all three categories. Many people simply want a place to get away with their family and do not want the hassle of obtaining renters, getting the property "renter ready," and managing the property. These are still the majority of cabin owners, and will most likely remain the majority. Another group of cabin owners have had their cabin for a long period of time and when they or a family member purchased the property, the price they paid was, shall we say, "dirt cheap." With rising property values, so goes the property taxes, and some owners have offset the cost by renting their cabin out for a couple of weeks. Not much of a hassle, yet making a few bucks to help the cause. The final group of owners uses Minnesota lakeshore property for investment purposes. Many started out renting their cabin to offset the taxes and mortgage. They had such success; they in turn purchased a second lakeshore property and then a third and so on. 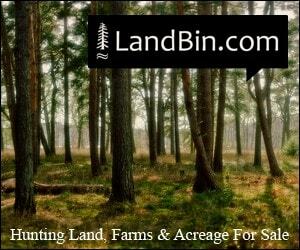 Depending on your situation, cabin ownership can be a lucrative second business or primary business for that matter. Whatever category you may fall into, the time for purchasing a Minnesota lakeshore property is now. If recent trends and future speculation hold true, purchasing that weekend get away today will help secure your financial future and in the meantime, help create family memories for years to come. 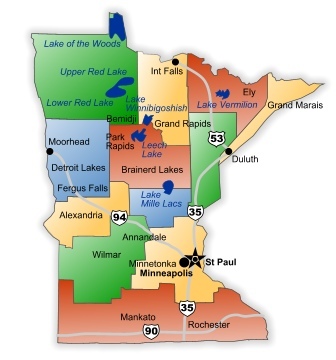 Use our Agent Finder to contact one of our Minnesota lakeshore specialists today! Minnesota lake property prices can vary greatly depending on many factors. Location, lake size, frontage type, lot size and many other pieces come into play when valuing lakeshore properties. The LakePlace.com Top Ten list includes the most expensive lake homes, lake lots and cities in Minnesota as well as a snap shot of today's lake property market. Please note that all prices shown are list prices, not actual sales prices. From time to time, the same listing may be entered into more than one MLS database which could affect the overall results. These numbers are provided for informational purposes only and LakePlace.com shall not be responsible or liable for any typographical errors, misinformation or misprints. ©2019 LakePlace.com -- LakePlace.com's Price Index Tool utilizes information from 18 multiple listing services throughout Minnesota & Wisconsin. All prices shown are list prices, not actual sale prices. From time to time, the same listing may be entered into more than one MLS database which could affect the overall results. These numbers are provided for informational purposes only and LakePlace.com shall not be responsible or liable for any typographical errors, misinformation, or misprints.